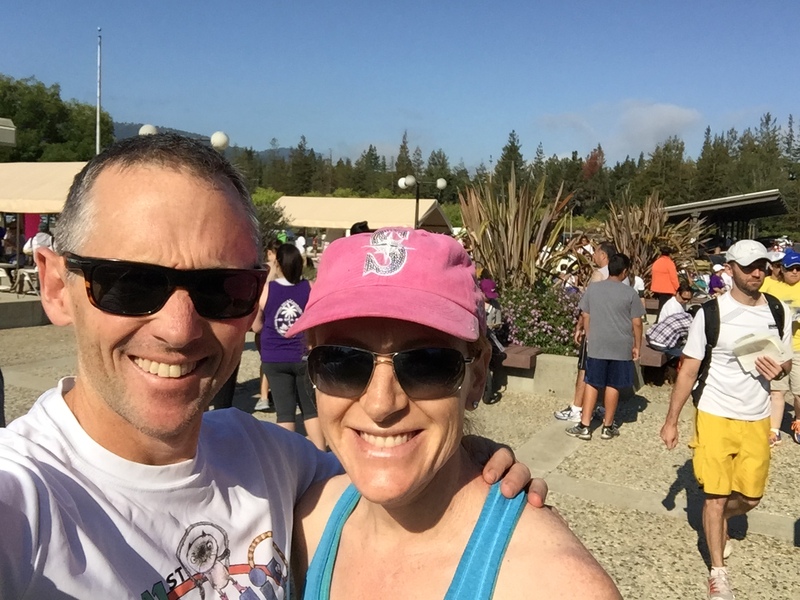 This is the fourth year we’ve run the Lupus 5k in Saratoga, CA. It’s a meandering course through our local West Valley College, and it certainly isn’t a fast track — there’s a lot of little ups and downs that take your breath away, and on the second lap you have to navigate your way through an army of folks who are walking the 5k. Anyway, Selina and I ran together, and crossed the line together. I forget our time, but it wasn’t blistering and it was steady. Something like 22:30 — I’ll update the post when I figure out what it was. I have a feeling Selina came 3rd in the women’s division, but we didn’t have time to hang around and find out! Have a great week, and I’ll see you next time. Previous PostRace #19: Bubble Run 5kNext PostWeekly update: 20 races down! Weekly update: $45,704 and 50 races!